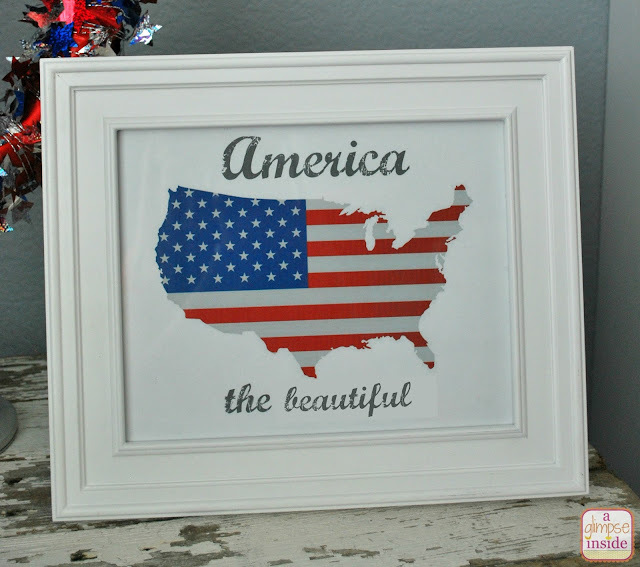 I am teaming up today with a ton of other bloggers to share all things Red, White, and Blue! 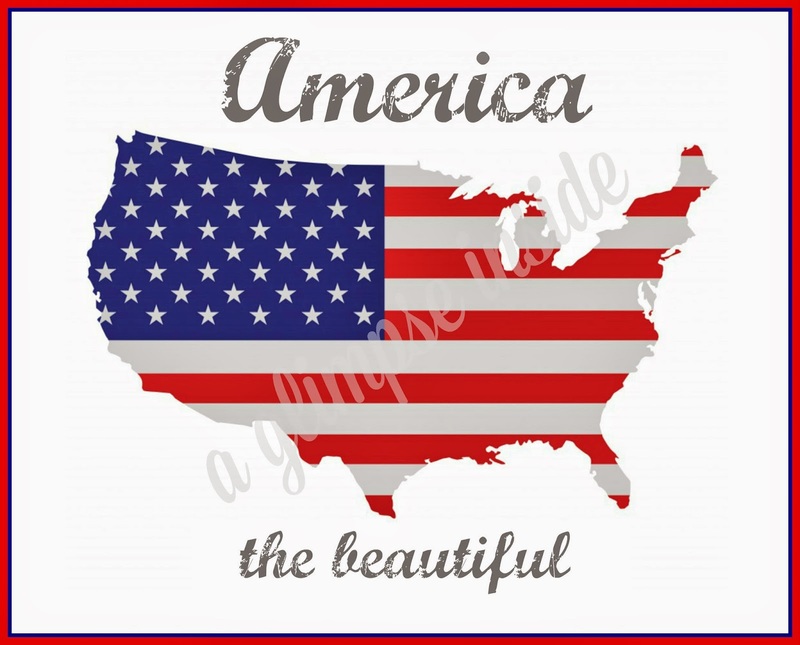 We are getting you completely prepared to celebrate America on the 4th of July. 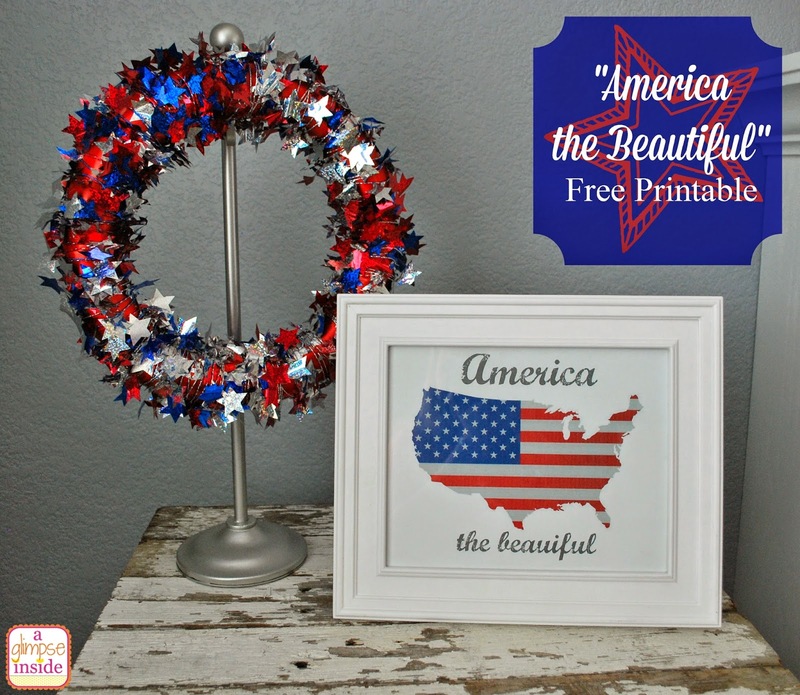 I designed this "America the Beautiful" free printable for you all. I designed it as an 8x10 print but you could easily print it smaller if that suits your fancy. I just printed it out on some nice card stock and used my paper cutter to trim it down. Pick up one for yourself below. If the widget isn't working you can also download the printable here. Check out all the other amazing Red, White, and Blue ideas from all the other bloggers below! Beautiful is misspelled in the print photo. Ahhhh!! You are right! I swear I checked all spelling, guess the missing t just slipped past me. Thanks! !